No Ditching's pop-punk demo is worth working up a sweat over. The only thing that would make me like No Ditching more than I already do would be if they dropped the G at the end of their name and their frontwoman lost a tooth and permanently replaced it with a chunk of sour candy. 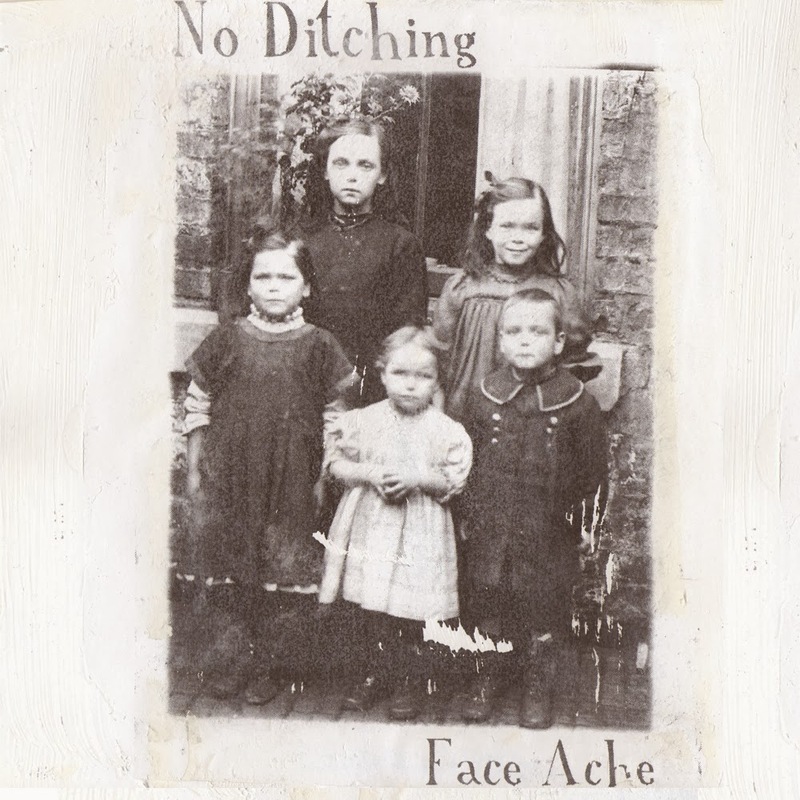 Not that I wish any hefty dental bills on these pop-punkers from Durham; it’s just what ran through my head when I listened to their EP, Face Ache, for the first time. No Ditching is a Gilmore Girls-obsessed five piece bleeding straight from the vein with driven guitar lines I’ve been struggling to shake off for a while now. I’ve taped out a special spot in my heart for this band. A once-through of this demo made me feel like I had watched them from a half-rotting loveseat in a garage at a college party surrounded by good friends and free booze. I would have gone up to them after their set, my hands shaking from all the brat-punk gusto they had just drilled straight into me, and their extra-percussionist with the tom strapped around her neck probably would have shrugged it off, rolled her eyes, and blew her nose on the hem of my shirt. This band is way too cool for me. This band is way too cool for us all. The energy that pours out of No Ditching will probably have kicked your teeth in by the time you have finished reading this review. You will be bleeding profusely from your gums and whatever else – but, all you’ll need is this extra dose of girl power so you can grit your way through the pain. Listen to No Ditching on bandcamp.